The big crowdfunding story of 2014 is all about real estate. The major on-going challenge for real estate developers has always been to quickly find financial partners to make deals happen. To facilitate their deals, developers often have relationships with a handful of lenders and a handful of ultra-high net worth investors (like family offices or equity funds). Instead of limiting their financial partners, more and more experienced real estate professionals are turning to the Internet to raise money. Before September of last year, it wasn’t legally permissible for a company raising money to advertise their offering. A company was limited to getting money from investors that it already had a pre-existing relationship (which was extremely limiting) or through the broker-dealer network (which could be prohibitively expensive). But now, the JOBS Act provision that permits general solicitation of potential accredited investors is in full swing. As a result, a number of Internet platforms have come into the market promising an easier way for developers to tap into new investors for their projects. Even with the fees charged by the platforms, developers enjoy the ability to adjust their own returns to meet the larger market rather than their existing (and often demanding) financial partners. There has been quick success of peer-to-peer lending platforms like LendingClub.com, which completed in excess of $1 billion in transactions during the second quarter of 2014. Because of this success, the venture community has flocked to back real estate funding platforms. In March, Realty Mogul raised $9 million in venture capital to expand its reach. The Florida company boasted nearly 20,000 investors in its database to entice Canaan Partners – a leading equity firm in the crowdfunding area. Fundrise, a Washington, D.C. company that is specializing in neighborhood investments, raised $31 million in capital from prominent technology and real estate funds in May. Now is the time that savvy developers are finding ways to increase project profitability by adding crowdfunding investors into their capital stack. In exchange, the investors are receiving healthy returns on their money and becoming involved with great real estate deals. The true power of crowdfunding comes from tapping into the “crowd” – not just the approximately 7% of Americans that are defined by the SEC as accredited investors. However, the proposed rules for the new law permitting true crowdfunding will limit the amount of equity raised to $1 million – insufficient except for skinny portions of the cap table of most real estate projects. In the meantime, savvy developers will be tapping into the power of the Internet to expand their base of investors to fund projects quickly and inexpensively. A couple weeks, we took a trip to Colombia to check out one of South America’s epicenters for growth. In Medellin, we found an incredible city. The streets are clean, the public transportation is amazing, and cranes fill the skyline. 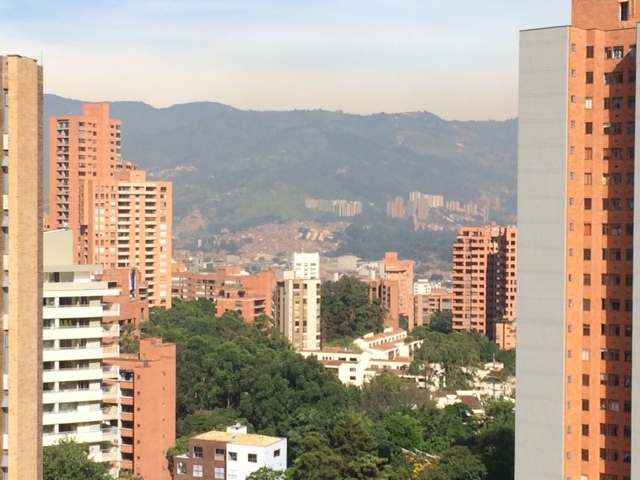 Medellin has stunning topography – a city that sits in the Aburra Valley with the Andes Mountains on every side. More than three million people fill the city and surrounding suburbs. Most people know Colombia as the source of the cocaine that flooded the U.S. in the 1980s. Many know Medellin as the hometown of Pablo Escobar, the original “narco-terrorist” who was killed in a government raid in 1993. 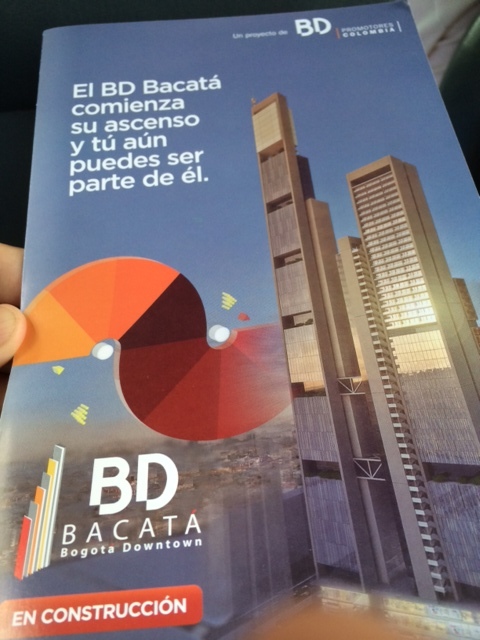 However, soon people will know that Colombia is the home to one of the earliest and most successful real estate crowdfunding campaigns – BD Bacata. That project is located in Bogota, the capital of the country. Below is an excerpt from my book, Equity Crowdfunding, about the project. The crowdfunding surge is not limited to the United States. Crowdfunding is being used even more extensively in other countries where equity crowdfunding has been legalized. In fact, the second tallest building in South America is being built right in the heart of Colombia thanks to more than 3,000 investors pooling their money online. 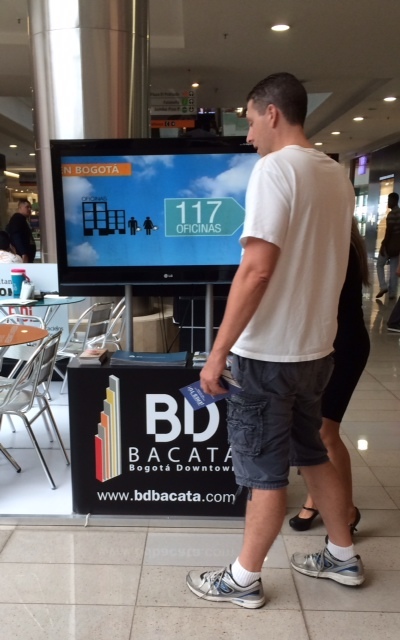 The BD Bacata project successfully ran its crowdfunding campaign on The Prodigy Network, a crowdfunding site focused on Latin America. The campaign took in $178 million, a crowdfunding record. And retail investors put in $35,000 each for a share of the company. Rodrigo Niño, CEO of Prodigy, called the project “a world record in crowdfunding in real estate.” He notes that he would not have been able to fund a project this size using traditional bank funding. The reason why traditional institutions do not put money into projects like this is that construction delays are commonplace in developing countries (like Colombia), attributable to bureaucratic incompetence, labor stoppages and material shortages. Therefore having the project fully funded prevents an additional risk to the developer. Because of the worldwide crash in residential real estate, investors in the Bogotá-based project get the benefit of investing in the best performing asset in the world – commercial real estate. He contrasts this with the option of crowdfunding real estate, where you may be able to purchase large commercial assets in Manhattan with the possibility of a much higher return. He expects that there will be a much larger participation in the real estate sector by equity crowdfunders. For now, only international investors from outside the United States are able to take advantage of The Prodigy Network.